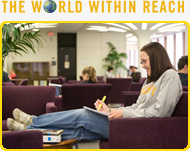 What motivates you to support UAlbany? I am motivated to support UAlbany because of the education I received in political science while pursuing my BA. UAlbany challenged me to think about policy issues with a solution-minded public interest-based approach. I have continued to rely on this model throughout my career, which has enabled me to be able to provide valuable input into many policy debates.